Trees on 240,000 acres were killed in 1933 in one of the Nation's worst forest fires which started four miles northeast of this point. Later fires extended the burn to 355,000 acres-to more than 13 billion board feet of timber. This area is now being reforested with Douglas Fir, spruce, cedar and hemlock. 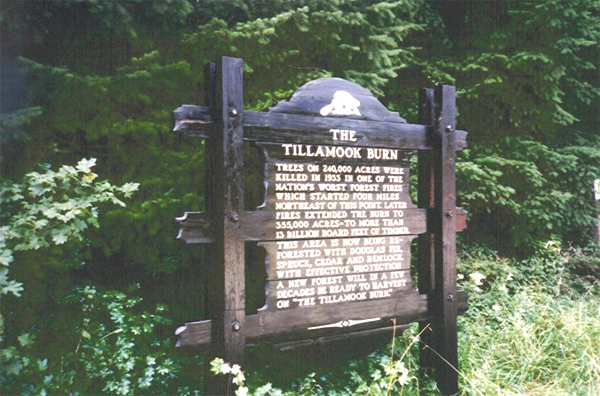 With effective protection a new forest will in a few decades be ready to harvest on "The Tillamook Burn."